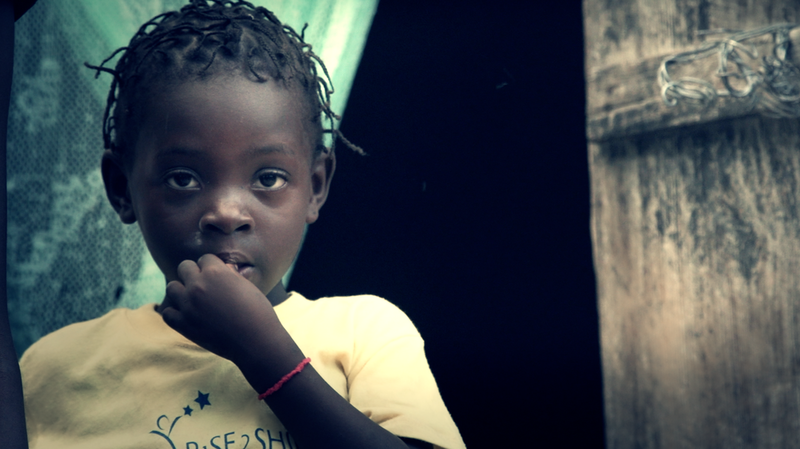 We're almost ready to publish the second episode of our Haiti/Rise2Shine web series, which you can follow on our main Haiti page here, but we couldn't stop ourselves from sharing a still frame from this new video. We loved this little girl. We were visiting her "home" at the base of the mountains close to Fonds Parisien, an hour away from Port-au-Prince. She is one of the children enrolled by Rise2Shine at their pre-school, and one of the poorest kids in that community. One of the children from Rise2Shine.